For those of you who live in the OC and are currently in/planning on attending school, there are tons of fall trends that you can shop at Westminster Mall. I may have graduated a few years ago, but I discovered a lot of great shops here that are perfect for students, grads, and everyone in-between! 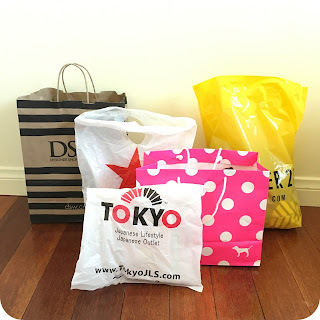 I'll be sharing my finds and a few tips from my shopping trip. The first place I hit up was Victoria's Secret Pink for some cute new undies (definitely a back-to-school must-have). I like that they have a wide range of basics, bright colors, and fun patterns so that you can mix and match. I even got one of those free collectible dogs with purchase. 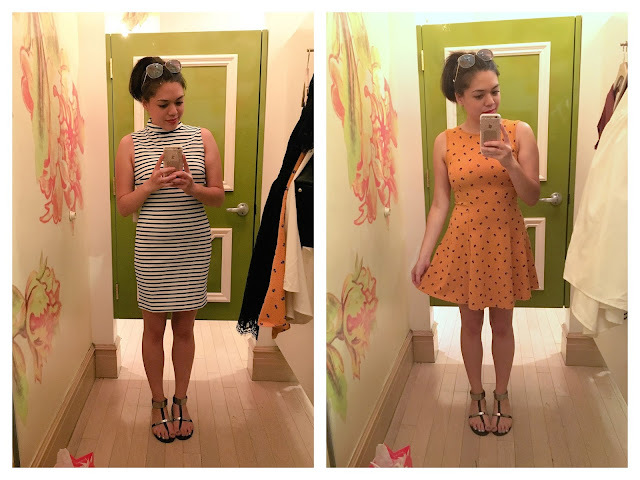 I then headed to Forever 21 to check out the fall dresses. A couple of my favorite looks right now are the 60's mod-inspired dresses and knit fit-and-flare dresses. I ended up buying the ones below. Bonus: the mustard floral dress comes in a few colors and cost only $10! Such a great deal for an easy to wear dress. For those of you who were following my Snapchat (@sweetsandhearts), you might've seen me post the pics below. I knew I wanted to look for new sneakers to replace my beat-up Keds (R.I.P.). DSW is my go-to store for shoes, so I was excited to see it on the first floor of Westminster. I like that you can find a shoe for every occasion there, and at great prices too. I immediately walked to the sale racks in the back and found black quilted leather sneakers by Uggs. They're really comfy, totally my style, and half off the sale price (yay!). Patent leather is perfect for the upcoming seasons, so I'll be pairing the with my casual dresses and skinny jeans. I also stopped by the Tokyo lifestyle store for some stationery and a calligraphy pen, because why not? Plus, I owe my friend a letter. 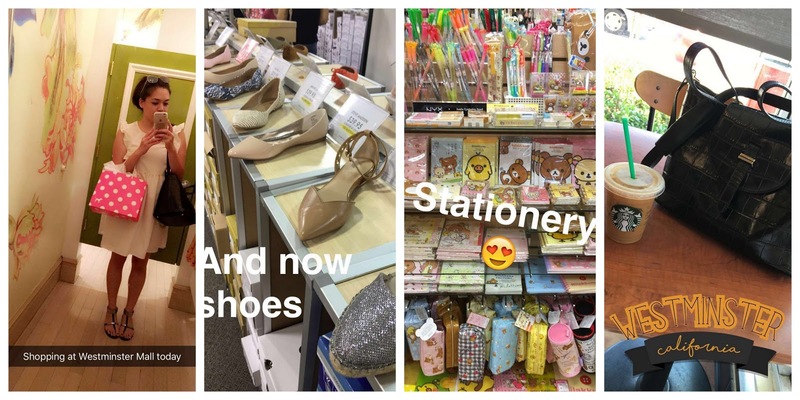 If you're a Japanophile and love all things kawaii, you can get your school and desk supplies here. It's fun to have things that are cute and practical--just look at the stationery display below! If you're looking to amp up your beauty routine, try browsing the Impulse section at Macy's. 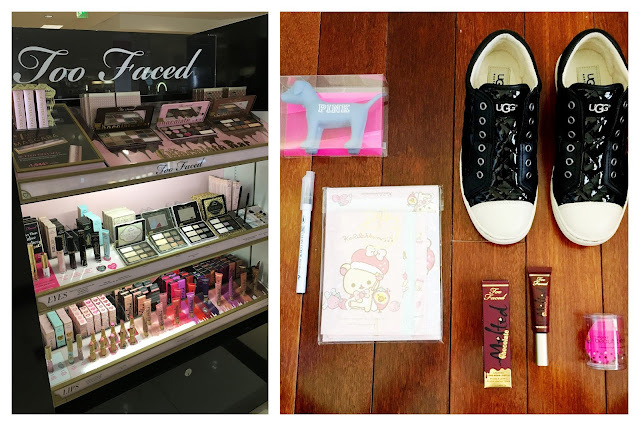 They carry a lot of my favorite brands, including Too Faced, Urban Decay, and MAC, so you can shop your faves and try all the latest products right there! I wanted a dark brownish red lip color to wear next season, so I went with Too Faced Melted lip color in "Chocolate Cherries". I even finally got a Beauty Blender, which is a staple among all the big beauty bloggers--I can't wait to try it out! Last but not least, I went to Target, because let's face it, they have everything. It's best to end your back-to-school shopping trip here so that you can get all the essentials: paper, pens, pencils, backpacks, groceries, bedding, bath stuff, and whatever else you need. The clothes and accessories are affordable and very on-trend too. Plus, you can pick up a nice cold drink at Starbucks to re-fuel and reward yourself for a productive trip. Hope you enjoyed my shopping guide! If you're in the area, definitely check out Westminster Mall for all your back-to-school needs. 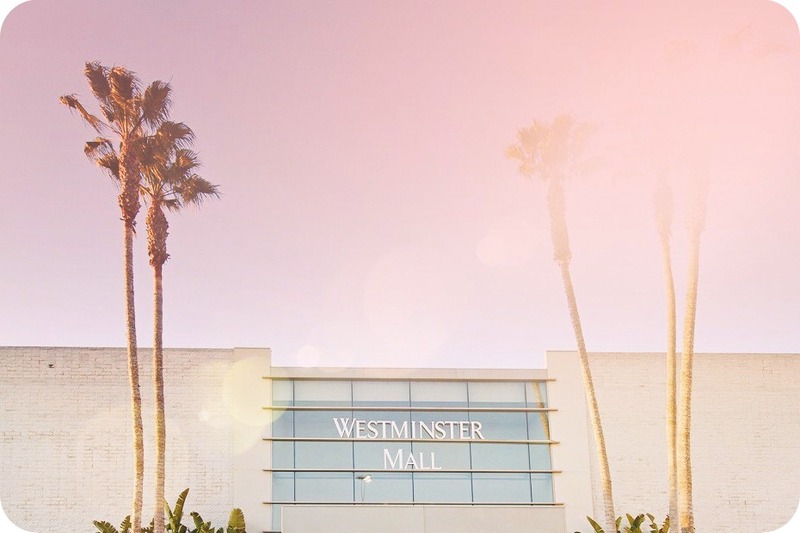 Thanks to Westminster Mall for hosting me during the day.